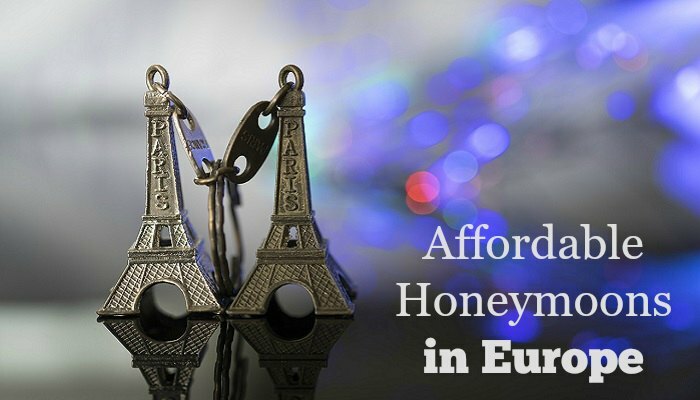 Europe may not be the first place you think of when considering affordable honeymoons. In fact, many newlyweds cringe just thinking about the cost of airfare to Europe, let alone the cost of accommodations, food, tours and activities. When you start thinking about exchange rates the cringe gets even more dramatic because the exchange rate to the American dollar is not in your favor. The good news is that there are ways to make a trip to Europe more affordable. You may have to select your accommodations and activities wisely, but you may be surprised at how far your dollar can actually stretch. Instead of piecing together a European vacation one attraction at a time, consider affordable honymoon packages that offer complete vacations for one price. Gate 1 Travel is an example of a tour company that offers packaged trips to Europe, and their prices start around $600 and can soar beyond $5,000. The trick is to study the packages to see what destinations are cheapest. Always look at the complete itinerary and make sure that you’re saving money over what you would pay to book each excursion and accommodation on your own. In most cases, you will save through the package. Another advantage is that these companies present prices in dollars, so you don’t have to worry about figuring out conversions. There are so many unique places to stay in Europe, and many of them are more affordable than the big hotels and resorts. You can rent a room in a private home or stay on a farm and give back to the community through agritourism. There are even some beautiful castles that will let you spend the night for less than $200. If you’re really traveling on a budget, Europe has small villas, cottages, cabins, and even campgrounds that charge less than the large hotels. One good option is to stay in a small bed and breakfast. You’ll have the convenience of asking the owners questions as needed, and you’ll feel right at home. Many of the elaborate churches, art galleries and museums scattered throughout Europe will let you in to take a look around for free. Of course, there’s something to be said for simply walking the streets and people watching. You’ll learn a lot about the culture while absorbing the natural beauties of any European city by simply sitting in a café with a drink and having a look around. If you can find your way to the rivers and lakes, you’ll find many romantic spots to hold hands and take a walk. You can look at many discount websites to get deals on select hotels in Europe, but try calling up some of the hotels where you would love to stay. Explain that you’re planning your honeymoon on a modest budget and are wondering about any special promotions or packages available. You’ll come across some great savings, especially if you’re willing to stay in one of their least popular rooms or can sacrifice the best window views for cheaper rates. Don’t forget that telling everyone you meet that you’re on a honeymoon can take you a long way. From upgrades at the hotel to free drinks at restaurants, a lot of businesses will throw in perks that save you a bit money throughout your trip. Those small savings add up and can help you stretch your dollar even further.